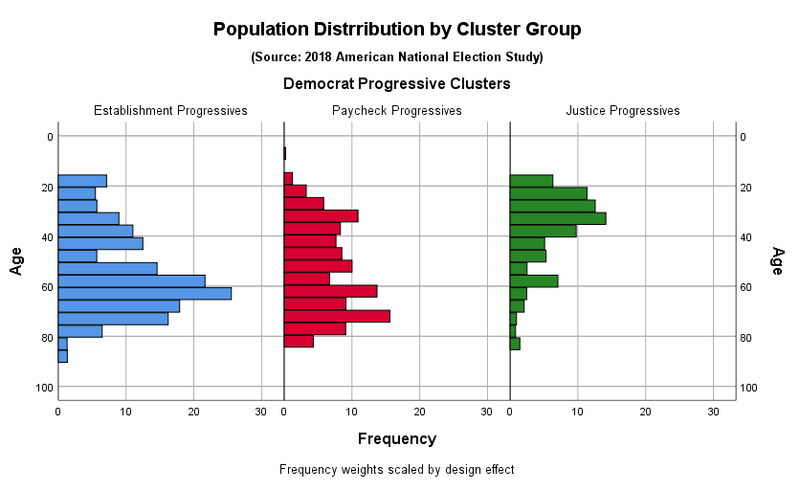 This narrative often gets confounded with the notion of a progressive versus centrist divide where the party establishment is generally linked to the centrist faction. 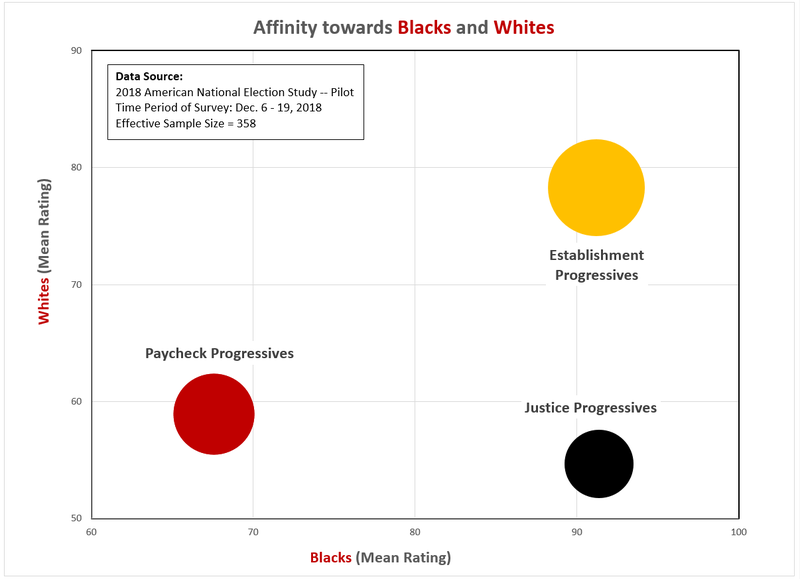 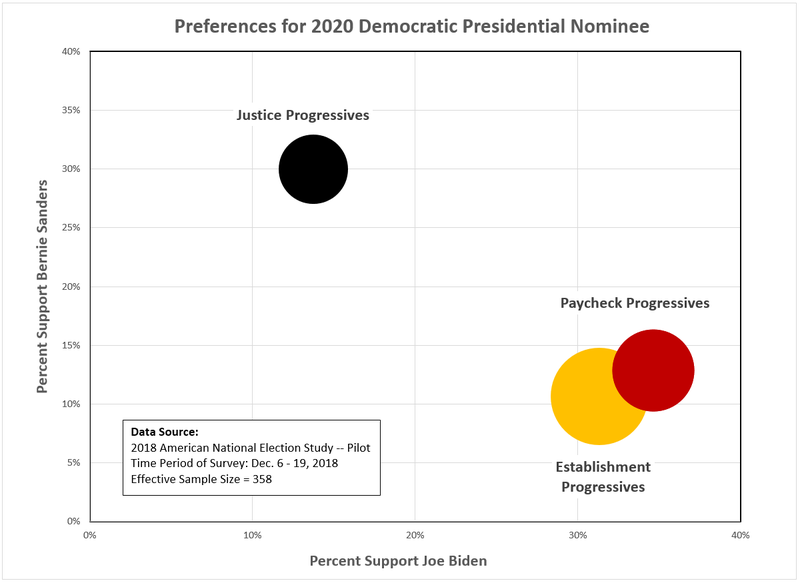 However, as discussed in a previous essay, when we look at the attitudes of actual voters, the Democratic Party’s establishment wing — often represented among politicians by Nancy Pelosi, Chuck Schumer, Tom Perez, Joe Biden, Kamala Harris, etc. 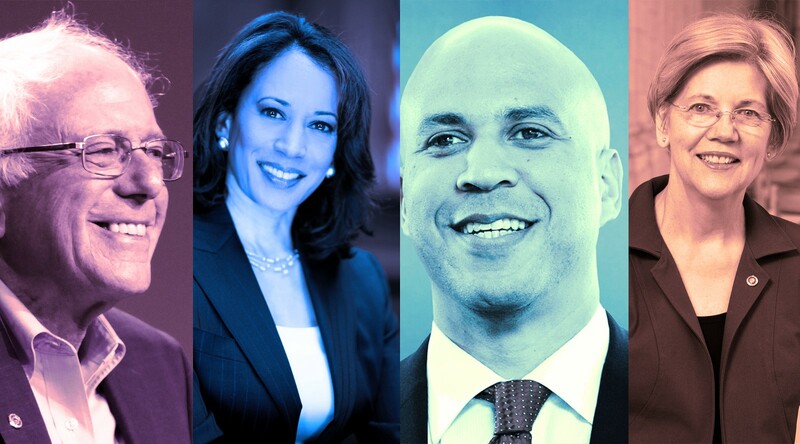 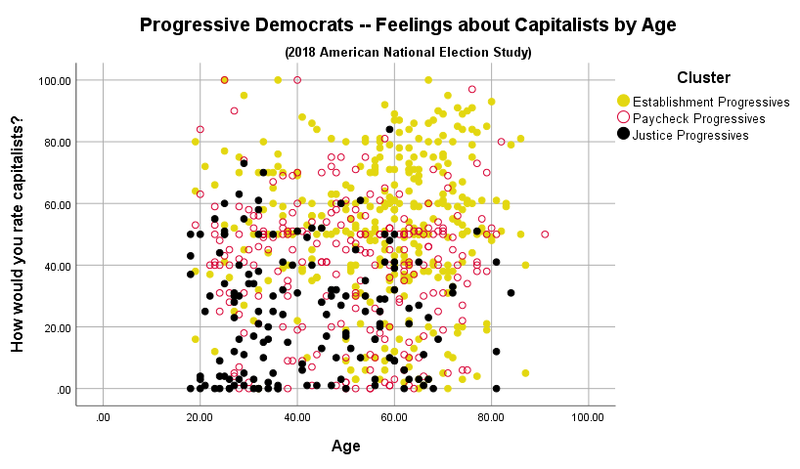 — is a much better match with the progressive voters in the party, not the centrists. 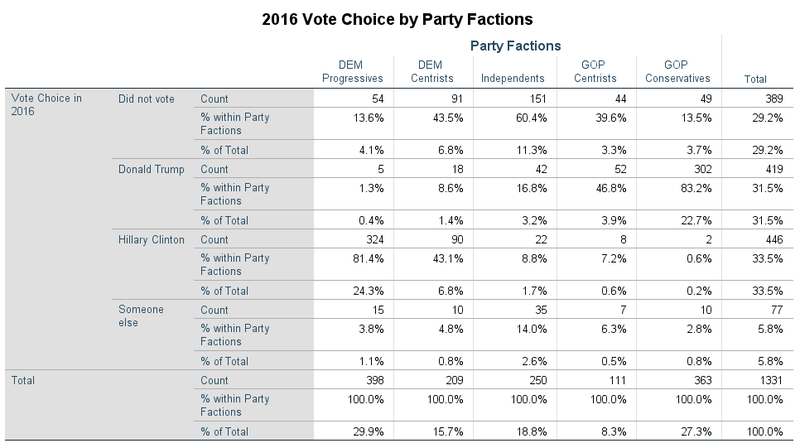 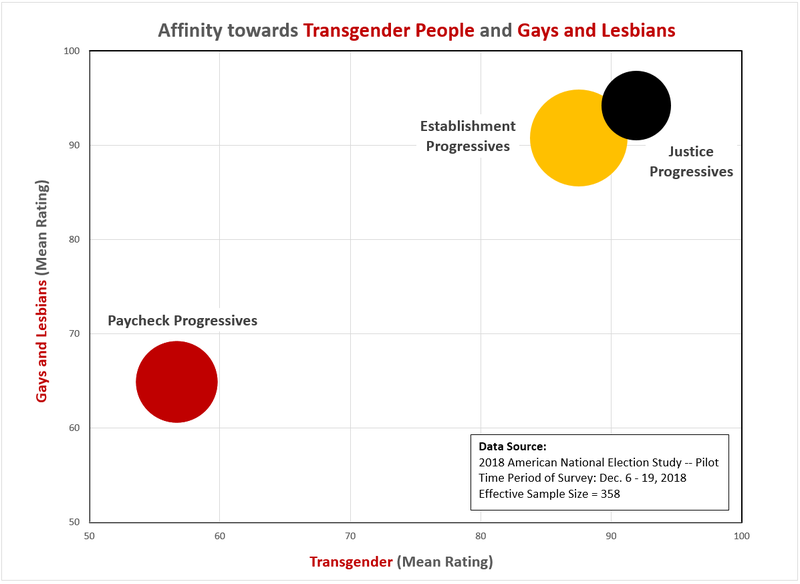 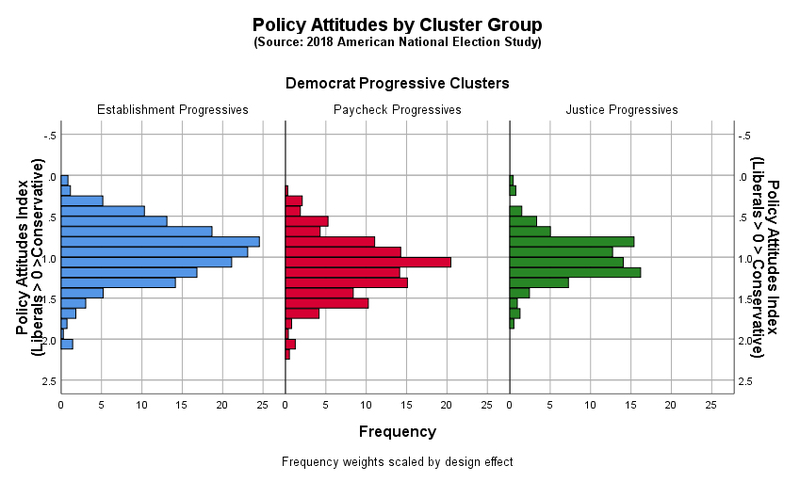 Democrat-leaning centrists are decidedly more conservative than their progressive counterparts on abortion and LGBTQ rights, climate change, immigration policy and a whole host of other core issues that tend to define the mainstream of the Democratic Party. 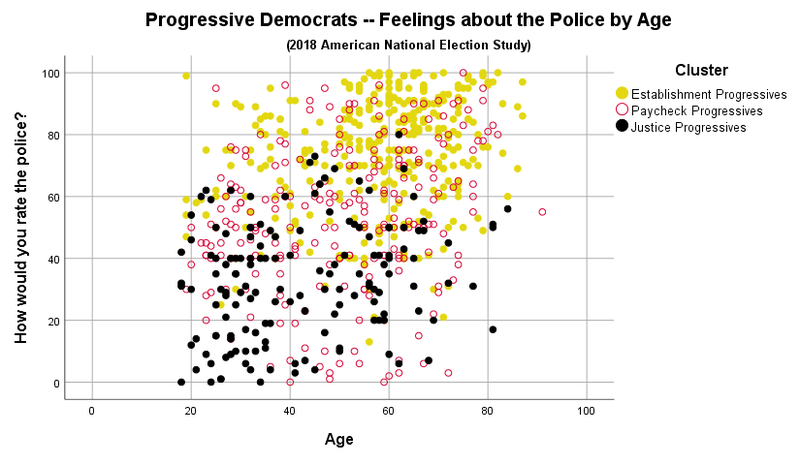 The most apparent difference is age (see Figure 6). 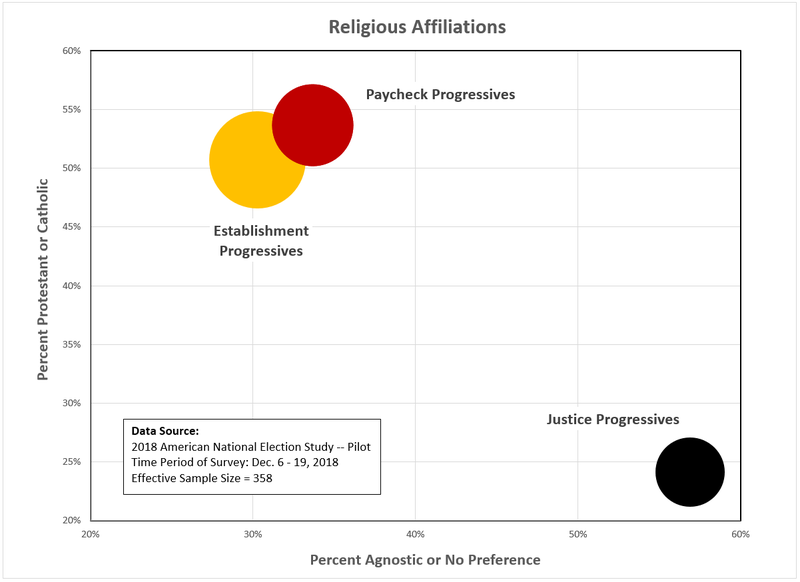 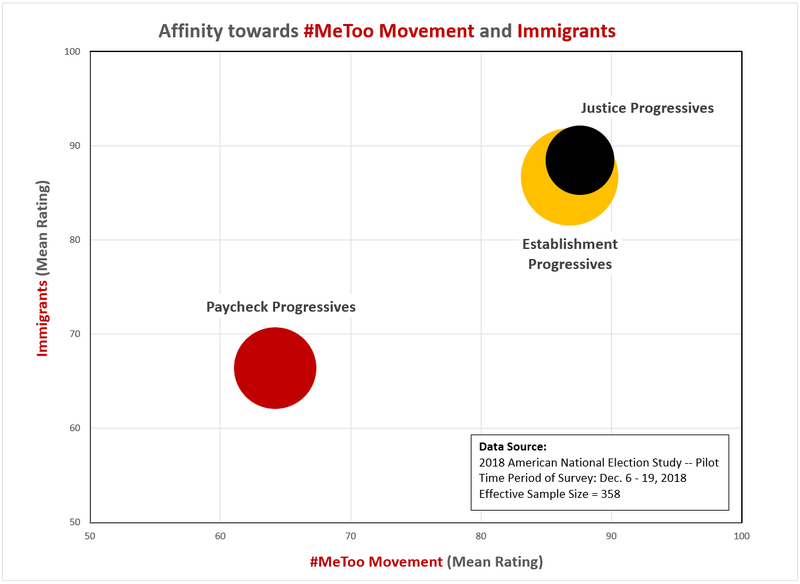 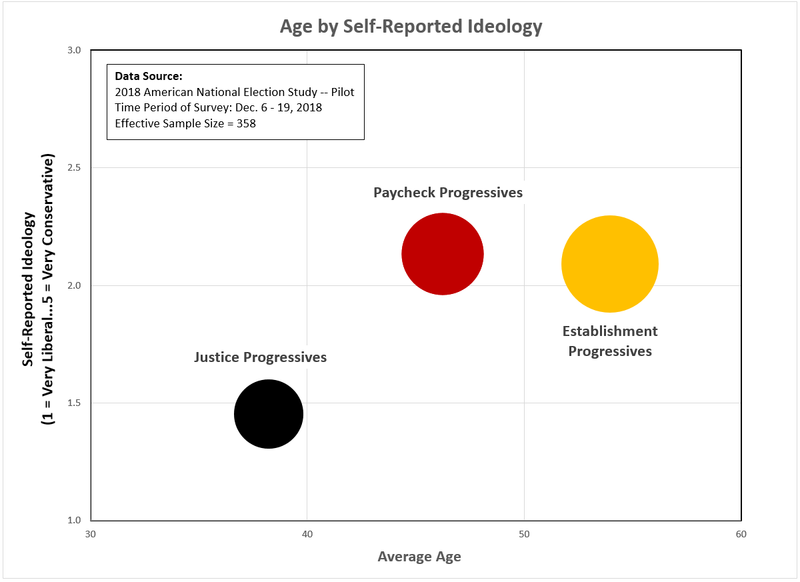 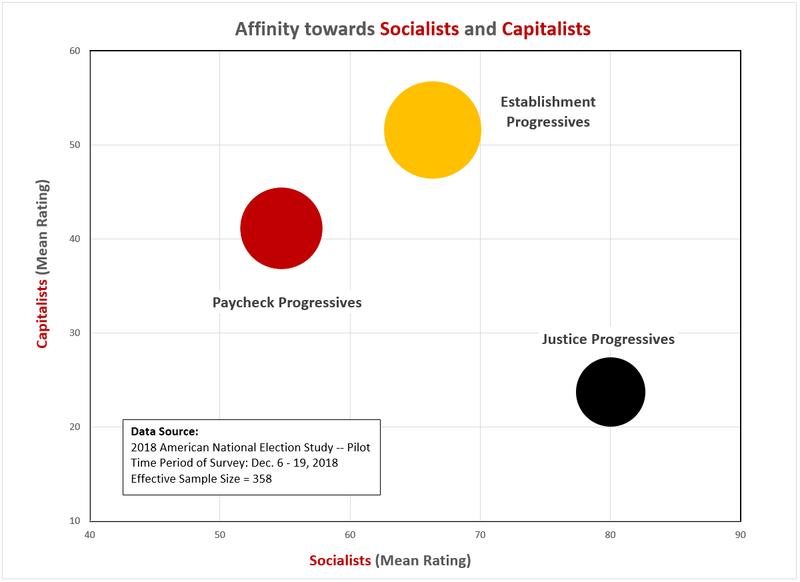 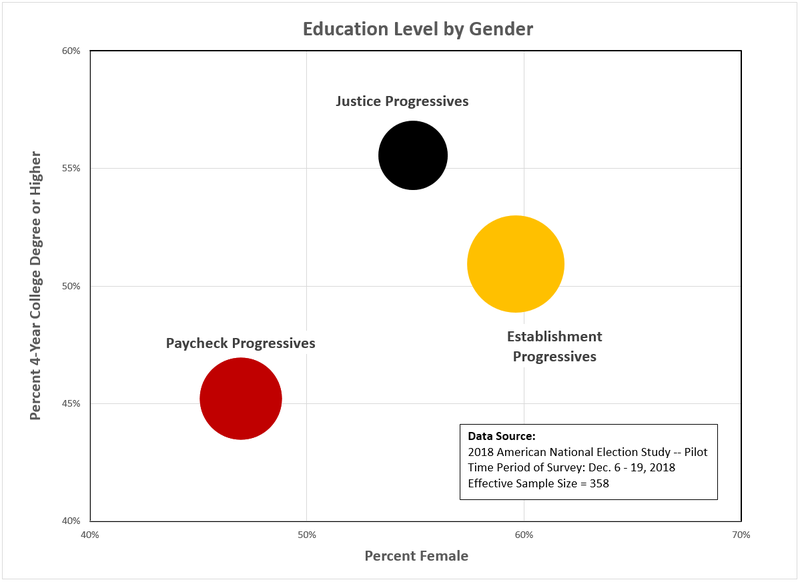 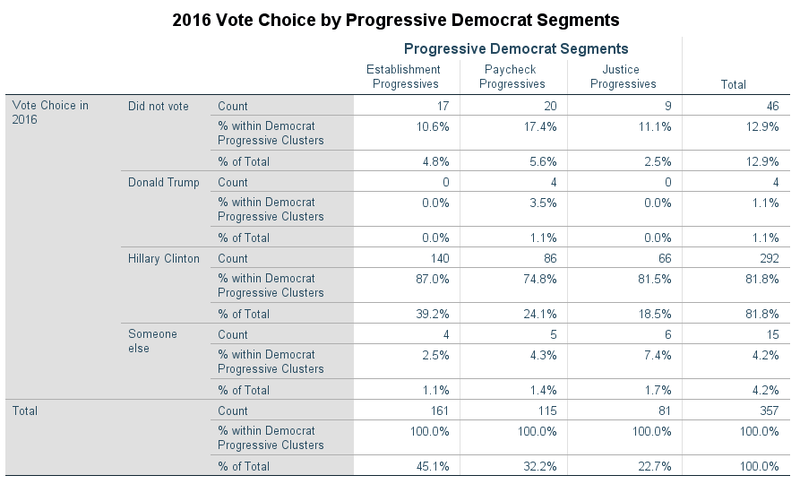 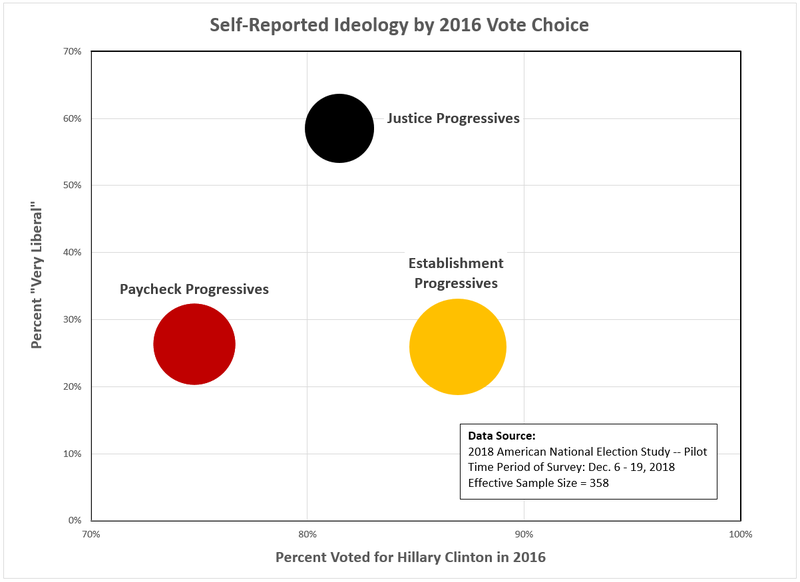 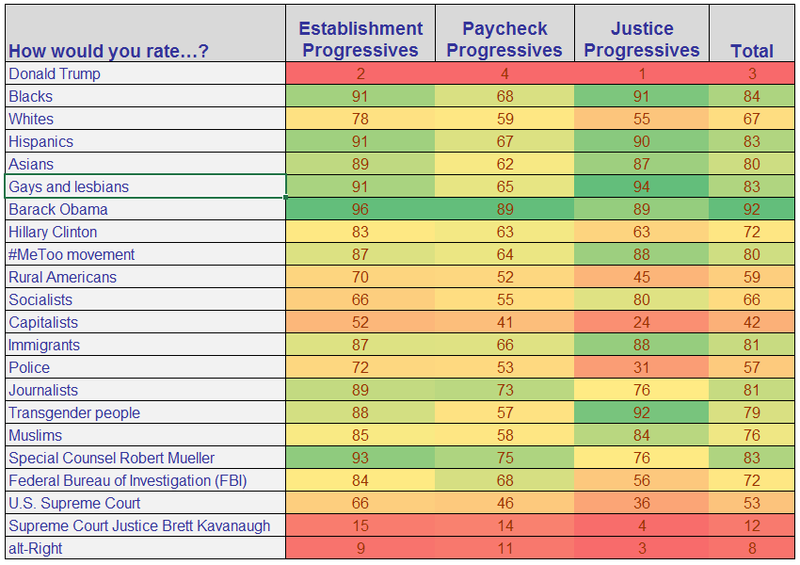 Justice Progressives are the youngest segment (mean age = 38), followed by Paycheck Progressives (mean age = 46), and the Establishment Progressives (mean age = 54).